In February of 2009 when we released Virtual Science University to the public, we knew we had a special science education product. Now almost 9 years later, it is obvious that it has traveled around the world since it now has over 40 million unique visitors and its DVDS have gone into more than 247 schools across the world. We created this program to help Texas Biology students since in 2008, most schools in Texas were bombing the Biology Objectives on the Science TAKS Test. Now, nine years later, those schools that have used Virtual Science University like our Alma Mater, Kermit High School, during the the 2015-2016 and 2014-2015 school years had 100% on all students who took the EOC Biology STAAR Test. 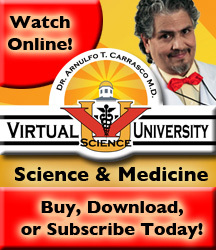 That is an incredible accomplishment for myself the Host and Co-Creator of Virtual Science University and my Executive Producer and also Co-Creator of Virtual Science University Dr. Arnulfo Tarin Carrasco MD. 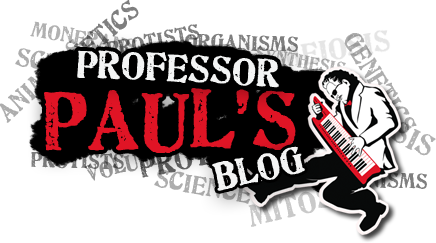 Now, we are at the beginning of going full throttle on social media by bypassing all of the politics surrounding science education in Texas and all other states and the rest of the world. Over goal now is to reach over 100 million unique visitors by July 2020 and empower millions of young people across the world.